Patients worried about the stigma attached to wearing train track braces during adulthood can now benefit from aesthetic white coloured braces called Six Month Smiles. 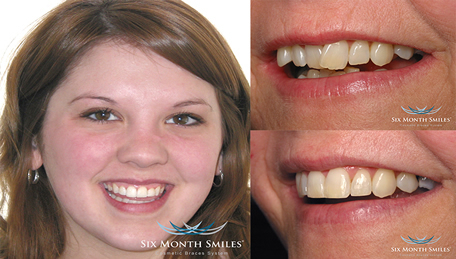 Six Month Smiles reduce orthodontic treatment time to around 6 months by concentrating only on straightening teeth that are visible when smiling, to perform a smile transformation for people who experience low self-esteem as a result of spaced, crooked or misaligned teeth. Traditional braces on the other hand straighten all the teeth in the mouth and as such need treatment times of around 18 - 24 months. Six Month Smiles can be used to treat a variety of orthodontic problems, including crowding, crossbites, overbites and gaps between teeth. The discreet white wires and brackets used in Six Month Smiles provide an aesthetic solution for individuals concerned about the appearance of Ugly Betty style metal braces. In addition, the gentle nature of the procedure means that there will be little pain or discomfort for the duration of the treatment time. Six Month Smiles involve having fixed white brackets and wires to straighten teeth and this is not as discreet at Invisalign, which involves having almost invisible removable aligners. However Six Month Smiles treatment is quicker and more efficient than Invisalign in carrying out certain tooth movements such as tooth rotations and extrusions. Please speak to Tim regarding the options for straightening your teeth and he will be sure to provide you with an unbiased opinion as to which orthodontic treatment will be more suitable for your case. Similarly to other forms of braces, patients could feel some discomfort when the brace is initially installed. The gentle force used to correct the smile means the teeth are able to move slowly, which is unlikely to cause any severe pain for patients. Our Six Month Smiles dentists recommend the use of over-the-counter painkillers to ease any mild discomfort felt during the initial stages of the corrective process. During the first week or so after the installation of the braces, patients may find it more difficult to speak and salivate a little more than usual. This normally occurs while the mouth gets used to the foreign object and should not affect individuals for more than a few days. Following the completion of the 6 month period, patients will be asked to wear retainers to reduce the risk of relapse. This is due to the teeth's natural tendency to move back to their previous position. All orthodontic procedures require patients to wear retainers after the treatment is completed. Tim will fit a permanent bonded retainer on the back surfaces of the teeth to ensure the best results. Alternatively, a night-time removable appliance can be chosen by people who are excited to show off their smile transformation. 6 month payment plans available, 5% discount for payment in advance. At Acorn Dental Practice, we take great care with all the Personal Data we hold, to ensure we comply with best professional practice and with the law. 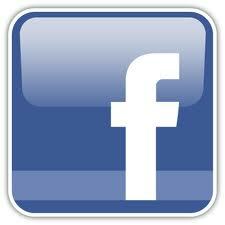 For a full copy of our Data Privacy Notice please ask at reception.